Lakes on the Mongolian Plateau are shrinking rapidly, according to researchers from Peking University and the Chinese Academy of Sciences. 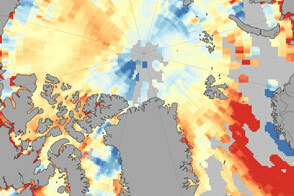 After analyzing several decades of satellite imagery, the researchers found that the total lake surface area had declined from 4,160 square kilometers (1,060 square miles) in the late 1980s to 2,900 square kilometers in 2010, a decrease of 30 percent. The authors attribute the losses to warming temperatures, decreased precipitation, and increased mining and agricultural activity. According to the study, the number of lakes with an area larger than one square kilometer dropped from 785 to 577. Of the 208 lakes that dried up, 145 were located in Inner Mongolia and 63 were in (Outer) Mongolia. While both areas got warmer and saw decreased precipitation over the study period, Inner Mongolia’s lakes shrank more because of intensive mining and farming activity, the researchers note. 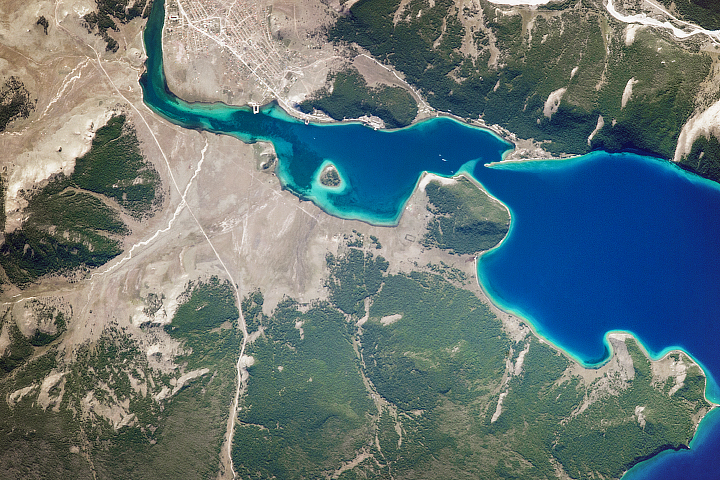 For the study, the researchers reviewed 1,240 scenes captured by the Multispectral Scanner, the Thematic Mapper and the Enhanced Thematic Mapper—each of which is a sensor on a Landsat satellite. All of the data analyzed in the study were acquired between June and September to minimize the effects of seasonal differences. The results were published in the Proceedings of the National Academy of the Sciences in February 2015. 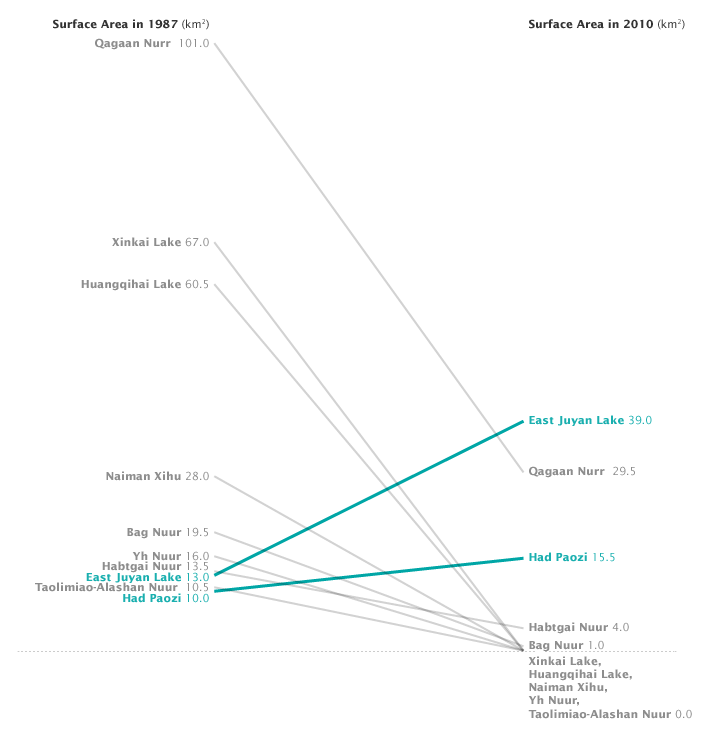 The chart above shows the top ten lakes in Inner Mongolia larger than 10 square kilometers (4 square miles) that saw the greatest percentage change in their surface area. Eight of the ten experienced dramatic decreases in their size over the study period. Just two lakes—East Juyan and Had Paozi—increased in size. Gray lines indicate decreases; teal lines indicate increases. Xinkai Lake, which is located in northern Inner Mongolia near the Russian border, offers a good case study. 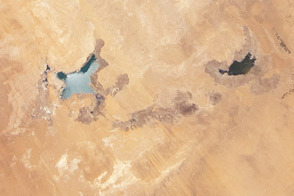 As shown in the Landsat imagery at the top of the page, what was a sizable lake in 2001 was dry by 2006. A lobe of the larger Hunlun Lake (also known as Dalai Lake) during wet years, Xinkai has a history of shrinking during dry spells. Hotter temperatures, particularly during the fall, have taken a large toll on Dalai since 2000, other researchers have shown. In addition, nearby mines are thought to be siphoning out significant amounts of water from Dalai and lowering the area’s water table. Similar situations are occurring across Inner Mongolia. To support China’s booming economy, the number of coal mines in the region has increased from about 156 in 2000 to 865 in 2010. About twice the size of Texas, Inner Mongolia is now China’s second-largest coal-producing region and the main global supplier of rare earth minerals. Mining is concentrated in northwestern and southern Inner Mongolia. Meanwhile in eastern Inner Mongolia, farmers are playing a key role in driving down lake levels. The amount of irrigated cropland in Inner Mongolia has increased from 6,600 square kilometers in the late 1970s to 30,003 square kilometers in 2010, according to the study. The map above depicts the 375 lakes within Inner Mongolia that experienced a loss in water surface area during the years 1987-2010. 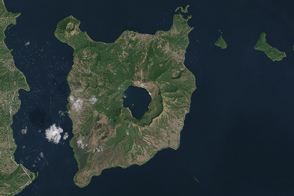 The large, purple circles indicate a complete loss of water. Medium-sized red circles indicate up to 50 percent loss of water. Smaller orange circles represent loss between 10 and 25 percent. The smallest yellow circles represent lakes that experienced between 0 and 10 percent water loss. BBC (2014, February 5) Sweeping change across China’s Inner Mongolia. Accessed April 7, 2015. 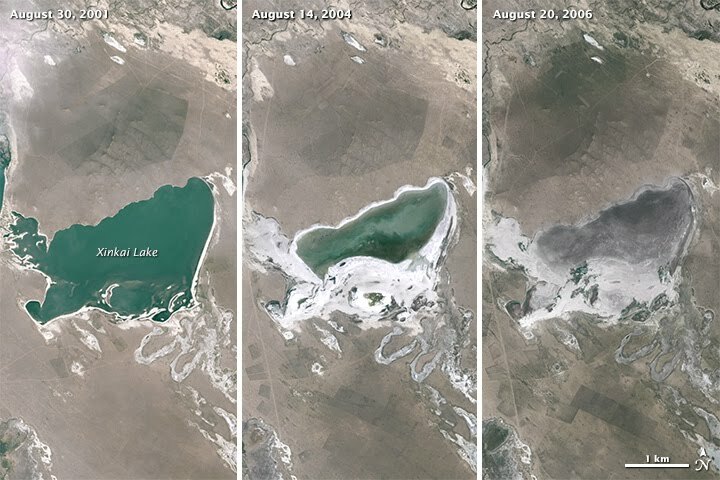 Chinadialogue (2011, January 21) China’s great disappearing lake. Accessed April 7, 2015. Environment & Energy Publishing (2013, July 1) As China’s demand for coal soars, so does its water scarcity. Accessed April 7, 2015. Rivers without Borders (2013, January 21) Northern China’s largest body of freshwater is shrinking. Accessed April 7, 2015. Simonov, E. Argun river basin and Daurian wetlands. Accessed April 7, 2015. Scientific American (2013, July 1) Does China Have Enough Water to Burn Coal? Accessed April 7, 2015. Yale Environment 360 (2012, April 30) China’s Looming Conflict Between Energy and Water. Accessed April 7, 2015. Washington Post (2013, July 1) In China’s Inner Mongolia, mining spells misery for traditional herders. Accessed April 7, 2015. As mining and farming intensifies in this dry region, lake levels are dropping. Tao, et al, (2015, February 17) Rapid loss of lakes on the Mongolian plateau. PNAS, 112 (7), 2281-2286. Na, Z. & Liji, W. (2014, June 27) Analysis of the Changing Characteristics and Factors Influencing the Dalai Lake Area. Proceedings of the International Conference for the 20th anniversary of the DIPA.